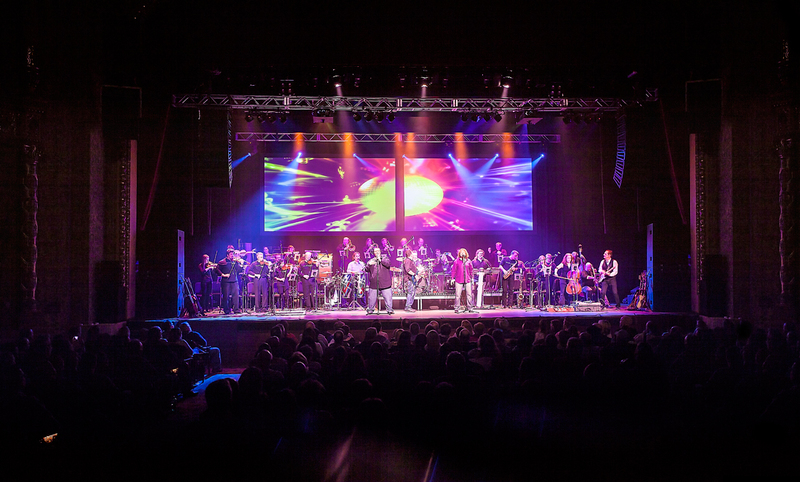 “Symphony on the Rocks” is VIC FERRARI and 26 of the best classical and pop musicians from the Midwest.The huge symphony sound is backed by outstanding audio and video production that will leave the Symphony on the Rocks playing in your mind for weeks after the show. This is the first Symphony in North America to perform with only iPads! You will see all the musicians working together, not hiding behind a conductor or a music stand. Be a part of the show…….A rousing audience is waiting for you, because this show makes you feel alive. Vic Ferrari’s Symphony on the Rocks is a high-powered rock symphony show featuring the biggest hits of classic rock. All your favorite genres and artists are represented; the Beach Boys, Earth, Wind and Fire, Led Zeppelin, Queen, Styx, the Beatles, the Who, Foreigner, Journey and many more. 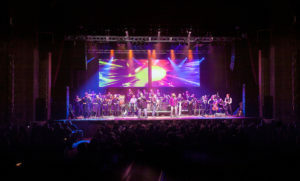 Since debuting in 2007, Symphony On The Rocks has performed to sold out audiences at the iconic Surf Ball Room in Iowa, Meyer Theatre in Green Bay, and Capital Civic Center in Manitowoc, among many others. This one of a kind extravaganza bring patrons back for another round of music and drinks. The energy in the hall results in dancing and serious fun.